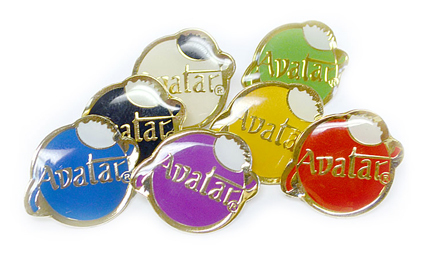 Avatar pins available in colored enamel and engraved metal choices. Enamel pins are available in white, black, blue, purple, yellow, green and red colors. Metal pins are available in copper, silver and gold finishes.